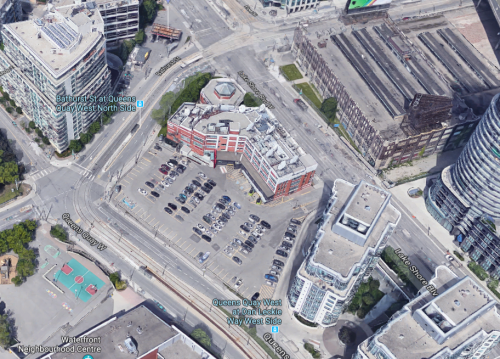 The City of Toronto plans to open a new women and couples’ shelter at 545 Lakeshore Boulevard West on April 15, 2019. The new shelter will help women and couples experiencing homelessness find housing. During the day, residents will receive services from case managers and housing workers tailored to their specific needs. They will also receive increased access to health services, thanks to a collaboration between the City and the Local Health Integration Network. Homes First has entered into an operating agreement with the City to meet or exceed Toronto Shelter Standards. Local residents and business organizations have an opportunity to support the shelter’s success – both for the shelter’s clients and the surrounding community – through a Community Liaison Committee (CLC). This committee will meet in the months leading up to the shelter’s opening and up to six months afterwards. Work is under way to organize the CLC. A meeting session on December 4, 2018 was held to provide an update to members of the public who are interested in being considered for the Community Liaison Committee (CLC) at 545 Lakeshore Blvd West and 701 Fleet Street. A follow-up meeting is being scheduled for early April 2019.